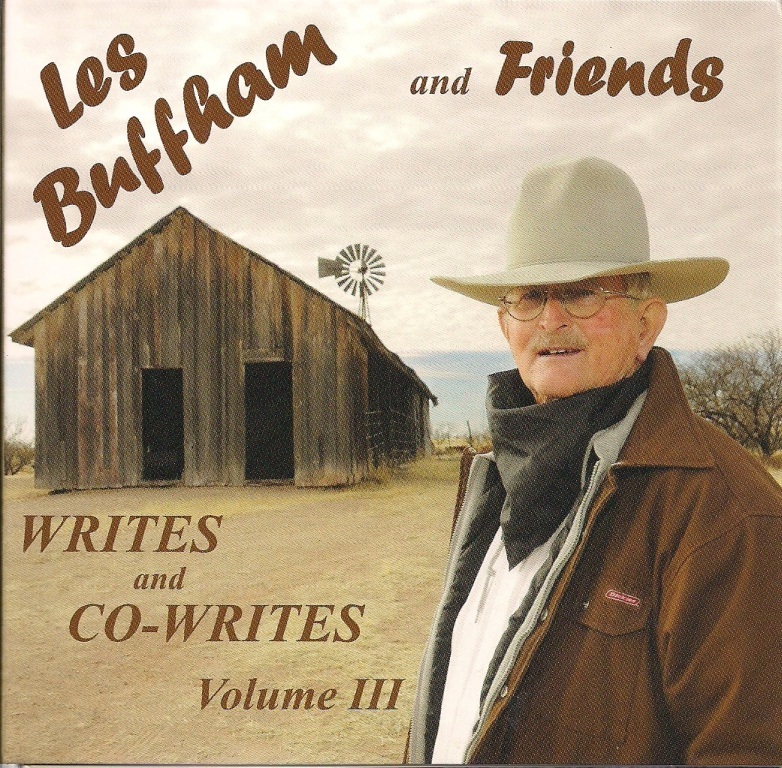 My life has been really busy lately and it took a few days to find the time to sit down and listen to Les Buffham and Friend’s “Writes and Co-writes Vol. III.” What an incredible collection of songs and voices! It’s too bad I have already picked out music for next week’s show…I could just play this CD!!! All of it!!! When you have singers and musicians like Devon Dawson, Trails & Rails, Sally Harper Bates & Suzy Killman, Pat Meade, Richard Elloyan, Hank Cramer, Patty Clayton, Jon Messenger, Prickley Pair & Cactus Chorale, Marvin & Austin O’Dell, Mary Kaye, Chuck Cusimano and Dave Stamey singing songs co-written by the same folks and Les Buffham and throw in a little Jean Prescott and Juni Fisher writing too…you have a winner!!! Add this CD to your collection by calling Les Buffham at 661-388-8535 or email him at lesbuffham@yahoo.com. You’ll be so happy you did!